I could be wrong on this, but the 50 MOST STYLISH MEN OF THE PAST 50 YEARS issue of GQ appears to have a rather profound error in its bit on Richard Avedon. 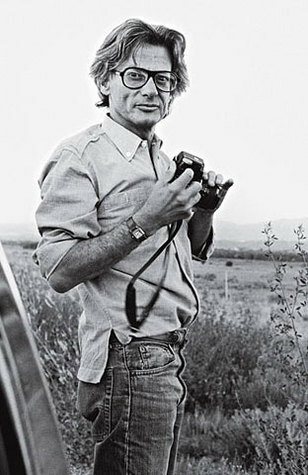 "When he died at 81, while on assignment in 2004, Richard Avedon was as famous and beautiful as any of his photographs. “You’ve got to ask yourself, How could one man be the author of so many of the iconic images of the twentieth century?” says David Remnick, editor of The New Yorker, where the photographer worked for nearly sixty years." I'm pretty certain that the New Yorker never ran a photograph until Tina Brown took the helm in '92. Avedon may well have shot for various Conde Nast publications over sixty years-but during most of that time the New Yorker didn't belong to Ascent/Si Newhouse family. I make mistakes of fact all the time. I'm not bringing this up to be nitpicky or clever-rather, it's just deeply odd to me that the transition to photos in the New Yorker that was so monumental and earth-shattering at the time slipped by--it's hard to believe that no one at GQ didn't register that. I remember it being widely discussed that Avedon was going to shoot for them-probably the only photographer whose presence in the transition could have calmed the faithful, given his Superman-like supremacy in the field. Do they not read the New Yorker over there?